Taiwan Digital Publishing Forum (TDPF) recently announced the results of its 2012 survey on Taiwanese people's e-reading habits. Conducted in May-June this year via various major online ebook platforms, the survey collected a total of 2,374 questionnaires, approximately 60% of which were filled out by men and 40% by women between the ages of 18 and 44. The survey found that more than 70% of respondents own smart phones, nearly 70% own notebooks and/or desktop computers, and nearly 60% own tablets. Only 1% of respondents own ebook readers. The survey further found that nearly half (46.5%) of respondents prefer reading on their tablets, followed by smart phones (approximately 20%), and notebooks, desktop computers and ebook readers (35% combined). A possible reason for this preference in tablets is that they have bigger screens than smart phones, and are more portable when compared to notebooks and desktop computers. Meanwhile, those who prefer reading on tablets are mostly male and more advanced in age. Smart phones are also a favorite reading device in Taiwan because they are small and can be easily stored in a pocket or purse and then taken out for reading, particularly when using public transport. In terms of operational systems, 45% of the survey's respondents prefer iOS, followed by Windows (28.6%) an Android (22.3%). 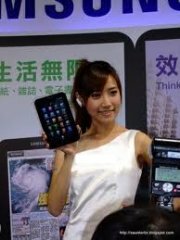 Presently, Android is the largest smart phone platform and its tablets boast the second largest market share (only after iOS) in Taiwan. So it is curious that Android has failed to benefit from people's preference in reading on tablets and smart phones. Most ebook reading is conducted at home in Taiwan, with nearly 90% of it taking place in the living room or the study. In comparison, approximately 63% of respondents read ebooks via smart phones in their offices or on public transport. Only 35% of respondents read ebooks in school. Finally, in terms of content, the most consumed ebook categories are business/financial management and fiction, followed by travel/tourism, sports, lifestyle, and fashion/entertainment. Approximately 60% of the survey's respondents read 1-4 ebooks per month. While nearly half (50%) of respondents spend an average of NT$200 (approximately US$6.67) on purchasing ebooks, 25% of respondents claim to have accessed ebooks for free. Good news for traditional publishers in Taiwan: Those reading ebooks also read paper books. Nearly half (50%) of the survey's respondents claim to have a budget of NT$500 (approximately US$16.67) per month for purchasing paper books. Nearly a quarter (25%) of respondents are willing to pay NT$500-1,000 (approximately US$16.67-33.34) per month on purchasing paper books.